About two years ago, I started making the switch from a radiologic technologist to an interventional radiology medical coder, and as with any job change, there were several unanticipated bumps in the road. If you’re considering a career change to medical coding or any related field, here are some important lessons you should know in advance. 1. Evaluate why you want a change. My journey into coding started because the physical aspect of being a technologist was beginning to take its toll. The innate physical requirements of being a technologist are not something most technologists contemplate in their youth, but it’s definitely something they consider when they’re older. I needed a career that physically was better suited to my twilight years. Why are you considering a job change? Are you having difficulties with a coworker? Is the financial compensation not what you were expecting compared with the job demands? Has the job lost its luster? Some of these reasons may merit a career change, while other reasons may just require a different point of view or perhaps facing up to something difficult, such as asking for a raise or sorting through problems with a coworker. • What are the physical demands of the job? • What are the educational requirements? • Are there certification requirements? • Is there room for advancement? • What does the long-term job stability/security look like? • What skills do you already have that you would be using at the new job? • How passionate are you about the new work? I found out that medical coding was a sit-down job—not exactly physically demanding. Although educational and certification requirements vary depending on where you want to work, medical coders generally are expected to pass a coding course and/or exam. The courses I considered were primarily online, which allowed me to go at my own pace; some last between six months and 1 1/2 years. Proven knowledge of coding and having a certification certainly can open a lot of career opportunities. Also, the field of health information management is in an enormous state of growth with ICD-10 implementation just around the corner. 3. Don’t underestimate the difficulties you’ll face. I had passed three certification exams during my career as a technologist, so when it came to my first coding certification I had a false sense of security. I didn’t think that it could be more difficult than the MRI certification exam, but my first clue should have been the nearly six hours needed for the testing. I passed the exam but learned a valuable lesson: I had underestimated the exam’s level of difficulty. When it came time for the certified interventional radiology cardiovascular coder exam, I prepared for the higher level of intensity. Even if you’re not necessarily looking to become a medical coder, there are bound to be unforeseen challenges during a career change. For instance, the policies where you currently work likely will be different compared with where you plan on working. Your new employer’s computer system could be user-friendly or a navigational nightmare. Also, being the “new kid on the block” at any job can be uncomfortable. 4. See it through; it’s worth it. Keep a positive attitude despite any setbacks or difficulties you go through. I’m happy with my career change, although I was unsure at first because everything was so foreign to me. On one particularly bad day in the first month of my new job, my managers handed me a sticky note with “309.29” written on it. I went back to my desk, my head throbbing, and looked it up. It was the medical code for culture shock. That diagnosis certainly fit. The whole experience was challenging but worth it. 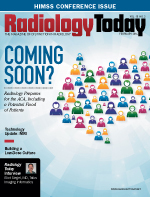 The experience and knowledge from my past radiology career benefit my current position. For the most part, new managers and fellow coders will help you along your transition to a new career, and that help and encouragement is invaluable. There is a strong sense of camaraderie among coders, just like there is among technologists. If you follow these tips, I can’t guarantee that you won’t experience culture shock like I did, but hopefully you will be able to minimize the effects and embrace a new career. — Sue Clark, CPC, CIRCC, RT(R)(M)(MR), is an interventional coder at Reading Hospital in West Reading, Pennsylvania, and a member of AAPC.